Romani (Gypsy) women boil laundry and hang it to dry in the middle of the camp at Marzahn. Germany, June 1936. Shortly before the opening of the 1936 Olympic Games in Berlin, the police ordered the arrest and forcible relocation of all Roma in Greater Berlin to Marzahn, an open field located near a cemetery and sewage dump in eastern Berlin. 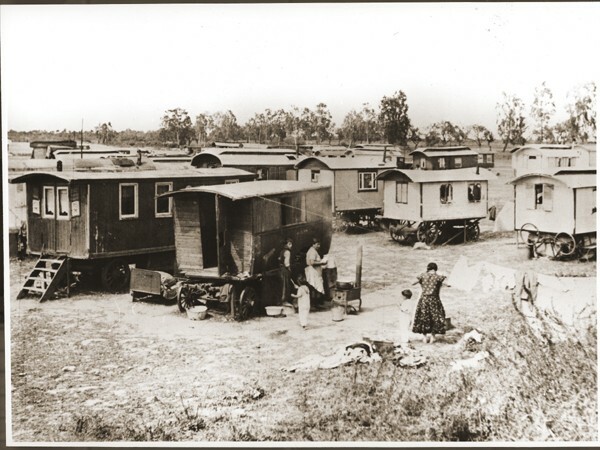 Police surrounded all Romani encampments and transported the inhabitants and their wagons to Marzahn.